Facial Rejuvenation Acupuncture, also known as Cosmetic Acupuncture, is a safe and toxin-free approach to slow the signs of aging. It is based off methods used in Traditional Chinese Medicine to reduce and eliminate the appearance of fine lines and wrinkles. This non-surgical approach involves the insertion of hair-thin needles superficially into the face. During your treatment, additional acupuncture points according to your Traditional Chinese Medical diagnosis will be used to address any underlying causes of poor skin quality. Treatment includes an initial consult to address diet, lifestyle, and healthy skin habits, followed by 10-12 sessions of acupuncture. Maintenance is recommended either monthly or bi-monthly depending on the individual case. 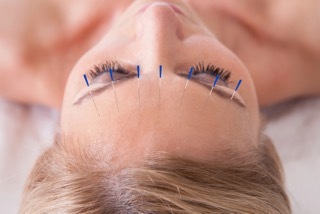 Book an appointment with Kelsey at Natural Choice Medical Clinic in Guelph to see if facial rejuvenation acupuncture is the right treatment for you.